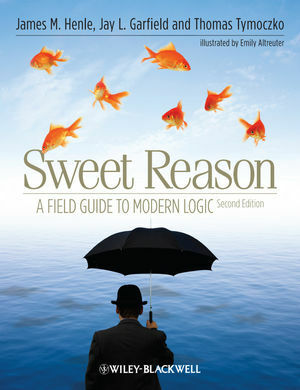 Welcome to the website for Sweet Reason: A Field Guide to Modern Logic, 2nd Edition by James M. Henle, Jay L. Garfield, Thomas Tymoczko, and Emily Altreuter (Illustrator). This site gives you access to the 105 page downloadable Instructors Manual available for this text, containing notes on each chapter with learning activities, plus sample test questions and answers. To get access to the 105 page Instructor Manual, please contact us via philosophy@wiley.com. Please provide evidence that you are an instructor teaching or considering teaching a relevant course (e.g. a brief indication of the nature of your course and/or your web listing on a department homepage).